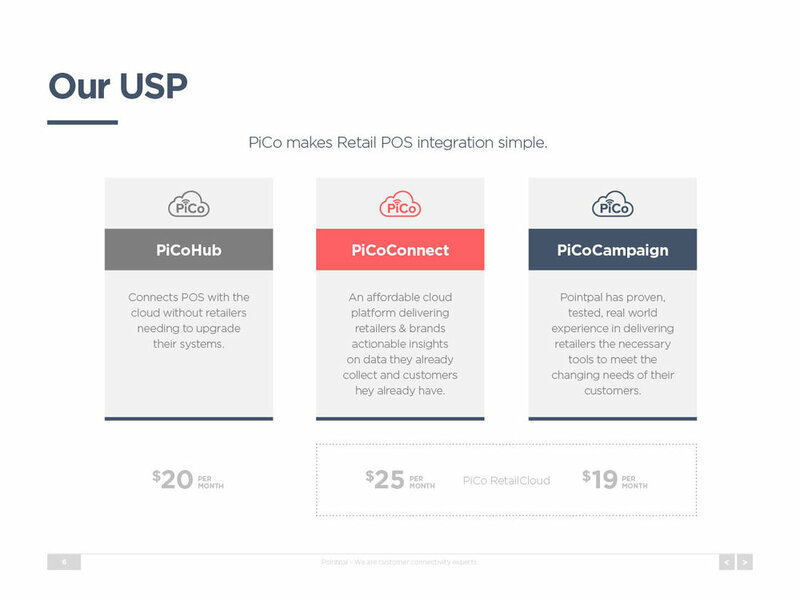 We worked with PointPal to produce a pitch deck aimed at securing pivot funding from potential investors for their breakthrough product, PiCo. The presentation simplified detailed information into visually engaging, bite-sized piece of consumable content. Overall, the presentation helped PointPal capture the attention of their investor audience and gave them a chance to educate and inspire.